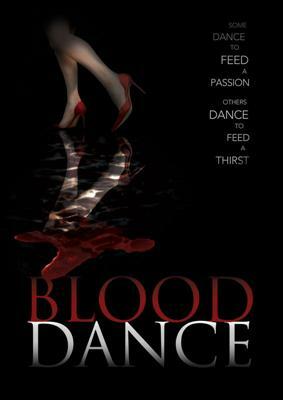 Blood Dance is a Salsa/Vampire story about a girl Salsa dancer who goes missing without explanation and her brother's search for her. The combination of Salsa and Vampires is a genre which has not been exploited and I believe has a great commercial future. Synopsis: A beautiful salsa dancer disappears. Her twin brother, Will King, retraces her last steps to a hotel near UK, his only clue an advert for a dance competition in the local castle. He sets out for the castle with Freddy and Johnny, two American dancers in town for the competition. From the fearful stares that greet them, something is obviously wrong. In the castle's grand ballroom, Will dances with the beautiful Rayna, whose brother Andrei is the leader of the mysterious Diablos Dancers. But Will finds no trace of his sister, or the rest of Freddy and Johnny's team. In a secret back room, Will, Freddy, and Johnny stumble upon two Diablos gorging on a woman's blood. They escape without being spotted and flee in separate directions. One of the Diablos tracks Will down. It is Rayna. She insists that she and the Diablos are "good" vampires. When Will explains what he saw in the back room, she doesn't know what to believe. Will is more desperate than ever to find his sister. With Freddy and Johnny's help, he sets off to confront the vampires, armed with home-made flame throwers. But the vampires are on to them. Freddy and Johnny are captured, and Will must dance his way out of a pit full of poisonous snakes to gain his freedom. Will survives the pit, only to be fed alive to Andrei. Andrei believes Will's blood, like his twin sister's, is special. And it is. But instead of giving the vampires super strength, Will's blood acts like an acid. When it eats through the vampires fanged jaws, he makes his escape. Will finds Rayna, who has saved Johnny and Freddy -- by turning them into vampires! They insist it hasn't changed their souls, just what part of the animal they eat. Will's only hope is a risky plan. Rayna must pretend to join her evil brother and "give up" Will as an offering. Rayna agrees quickly. Too quickly? The web of danger tightens as the plan goes wrong. Andrei escapes, Freddy dies, and Will is mortally wounded. Rayna tries to turn Will into a vampire to stop him from dying. But because of Will's unique blood, he doesn't change into a vampire but instead becomes the ‘Anti-Vampire’, whose bite can change a vampire back into a human. Will defeats Andrei and finds his sister, comatose attached to a machine that drains her special blood. Just as he is about to free her, he is betrayed by someone he didn't expect. The vampires now have Will's blood, which combined with his sister's, makes a powerful yin and yang - the last ingredient for an elixir so potent that nothing can stop the un-dead now! I have been working on my film, Blood Dance for the last 6 years and in order to get interest in the film I needed to make a teaser which would provide the viewer with a flavour of the film rather than tell the exactly story. So what I decided to focus on in my teaser was the connection between the vampires and the dancing. In my story, when the vampires dance with their victims it is their way getting a taste for their "food". We all get hot when we dance, so I wanted to use this as an idea of heating up their "food". This is one of the main reasons that the Vampires dance Salsa. In the clip, they are becoming more and more hungry by the smell of their victims "hot" blood and they are playing with them before feeding time. The story in my teaser is that the club is the vampires feeding ground and the dance is a ritual before they start their feast (which can only take place after a certain time). However, one of the vampires gets bored of waiting to begin her "meal", so decides to get started earlier, which of course upsets the other vampires, who have to create a distraction, in the form of a high energy acrobatic dance so that the victims don't realise what is about to happen to them.